Your car’s transmission is one of the most critical automotive components that keep it in good running condition. If you have transmission problems in Adelanto, you’ll notice that performance is lessened along with a host of other potential problems. Having your transmission properly maintained is one of the smartest things you can do to keep your car working well. 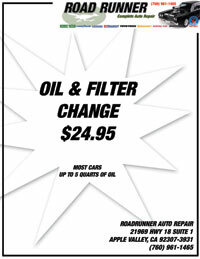 You’ll save money in the long run and ward off more costly future repairs by taking your car to Road Runner Auto Care for service. The experts at Road Runner Auto Care can look at your transmission to determine exactly what is needed to repair it, or to simply maintain it for you by checking your transmission fluid, looking for wear and tear on parts and evaluating the overall condition of your transmission. You’ll then receive professional Adelanto recommendations for what should be done. What Is That Noise And Smell? Two of the top indicators of transmission trouble are the sound it makes when it switches into gear, park, or drive; and strange burning smells that you’ve noticed coming from a malfunctioning or worn transmission. Clunking, grinding, humming, whining and shaking are all indicators of potential transmission trouble in Adelanto. Another indicator of trouble is when your check engine light comes on and won’t go off. Paying attention to these early warning signs is one of the surest ways to catch transmission problems when they start, instead of waiting until they get worse and cause damage, making them more expensive to repair. When Are Transmission Checks Recommended? Current recommendations for Adelanto are to have your transmission checked at 30,000 miles, or after running the car for a year. Having your transmission regularly checked at your Adelanto Road Runner Auto Care is a proactive way to prevent problems. If issues are caught early, you’ll lessen repair costs with proper transmission maintenance. Transmission checks include cleaning, which helps reduce transmission wear, fluid checks, and inspections to find issues early. 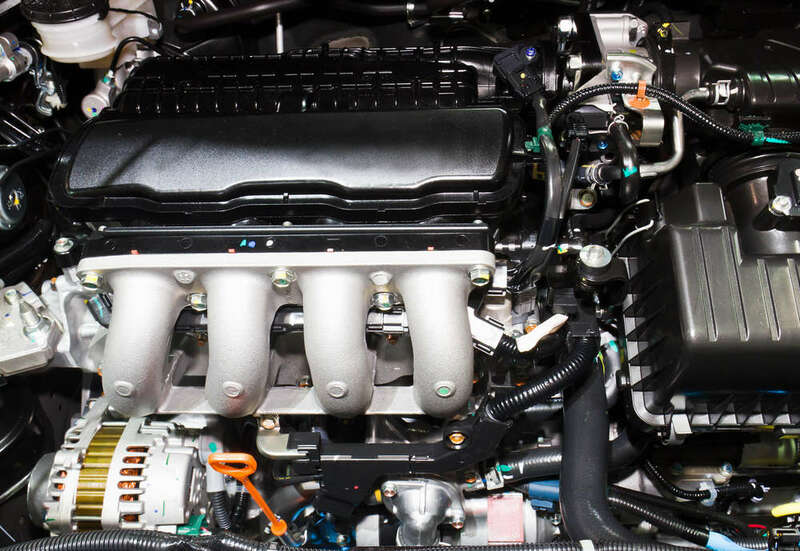 To keep your car in top running condition, it’s smart to contact Road Runner Auto Care in Adelanto to diagnose transmission trouble and to service your transmission. Keeping the condition of your vehicle healthy is the best and most cost-effective way to keep your car running at peak performance, for many good years of trouble-free driving. If you feel you need transmission maintenance in Adelanto, contact Road Runner Auto Care today to learn more about all the services offered.